You may have started your business with your own drive, passion and talents, but soon you’ll need some supportive tools to keep it going. Luckily, there are plenty of options out there to help you stay on track of pretty much anything business-related, from cash flow to communications between yourself, your employees, your suppliers and your clients. Keeping track of your cash is one of the most important things you need to do as a business owner. First and foremost, you’ll need a good business bank. Banking with a financial institution, like Bank Midwest, that allows you to view your basic account balances, make transfers and deposit checks online or through a mobile device can be a convenient way to track your finances. Larger businesses will find more advanced online solutions like Cash Management (or treasury management) valuable. From initiating wire transfers or moving money between accounts through ACH originations, easily manage business account funds. Beyond tracking your cash flow, you’ll also need to be able to accurately pay your employees on time. Using payroll software can help. This is particularly useful to the small-business owner who has a small staff and limited accounting knowledge. NerdWallet recommends checking out Gusto, which formerly went by the name ZenPayroll, because it’s easy to use, effective and affordable. Other options include Patriot Payroll and Intuit Quickbooks Payroll, according to FitSmallBusiness. Finally, it’s a good idea to find a good tax filing software. Though you may only file taxes once a year, investing in the right program can save you time, money and the headache of trying to figure out tax law. Quickbooks and Gusto both offer tax filing capabilities. To make money as a business, you need to be able to collect customer payments. The right processing tools will make this process as simple as possible. Your business bank likely has payment options that can help you get set up. 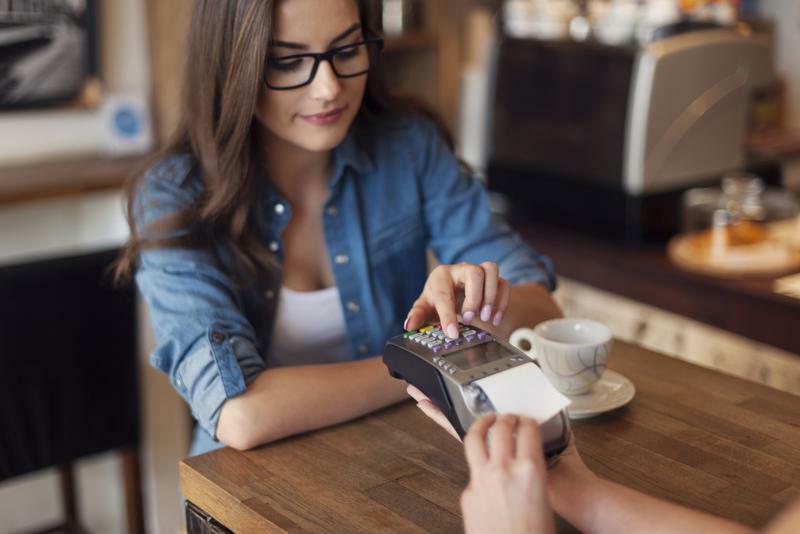 It’s important to have a payment processing method for your small business. Other options include using Square, a service that comes with a handy device that plugs right into your phone or tablet, and which is very intuitive to use both for you and your customer. PayPal offers a similar tool, NerdWallet reported. They both offer chip and magnetic strip reading abilities. Many business like to make an effort to keep their customers engaged, and email marketing is a popular tactic to do just that. By sending out captivating and informative emails, businesses stay top of mind (and top of inbox) and can show customers new offerings, encourage them to interact on social media or alert them to a big sale. Two popular email marketing tools include MailChimp and Constant Contact, both of which allow users to keep track of email lists, design beautiful emails and send them out easily. Smooth communication is critical to any company. Slack is one tool many businesses use to organize their teams’ instant messages and allows team members to share documents of many types and sizes. Skype is another popular tool that allows for video conferencing, as well as chat and voice calls. Managing a small business isn’t always easy, but when you have the right tools in your back pocket, you can simplify some of the most important small business operations. When your business is ready for a business checking or savings account, payment processing solutions or a commercial loan, reach out to Bank Midwest.